I can't believe that we have now lived through all four seasons here in the South, and that we are now on repeat! 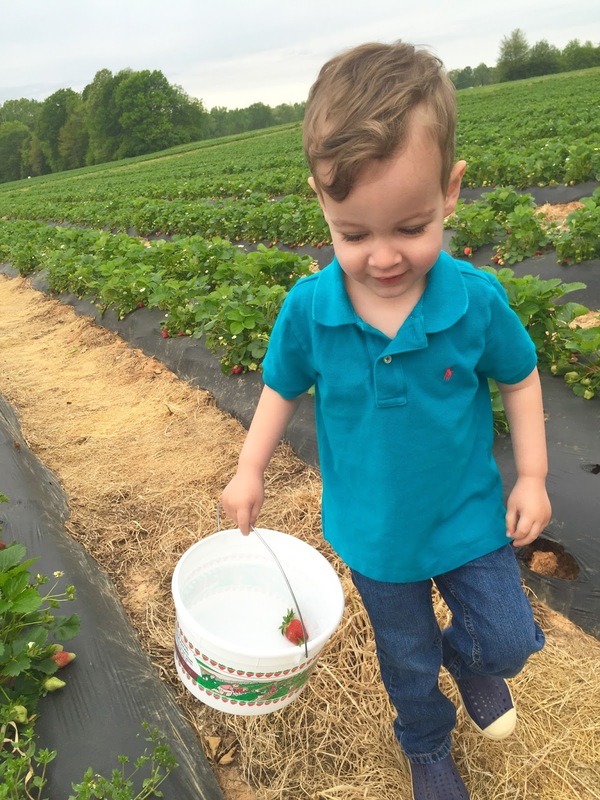 Repeat adventure number one: Strawberry Picking! 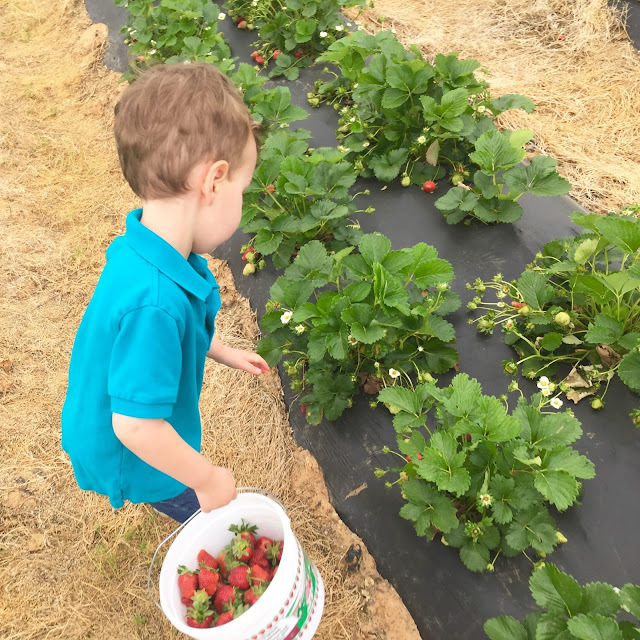 Last spring, Parker and I made the half-hour trip up north to Brown Farms, the first time strawberry picking for both of us. 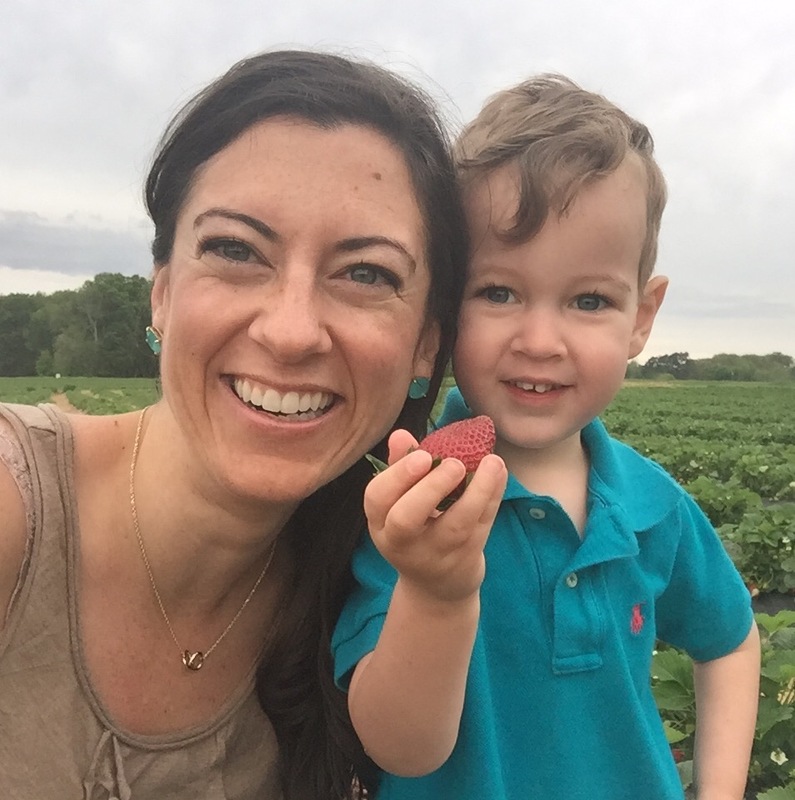 It was a bright, sunny day, and my then two-year-old had so much fun running around and munching on the sweet fruit. This year, once we got word that the strawberries were ready, we headed out first thing the next morning. Parker could barely contain his excitement when he woke up and I told him our plan. 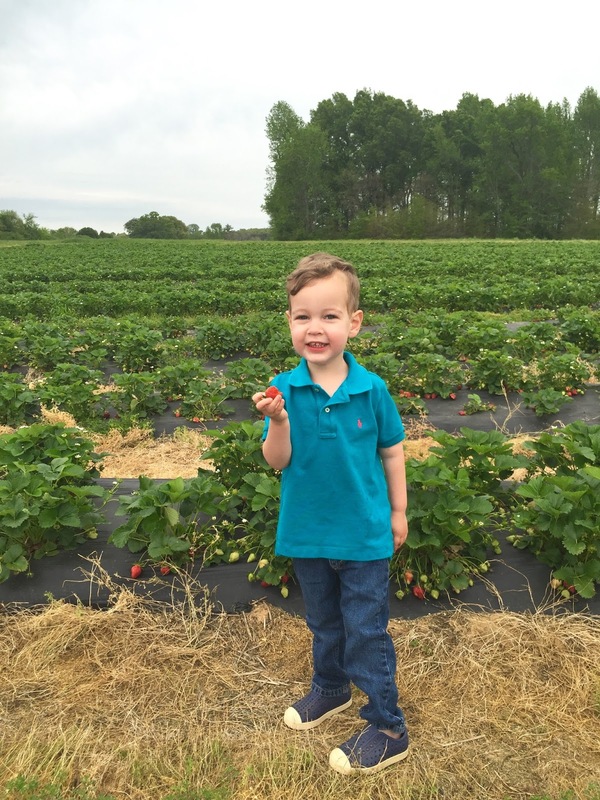 He exclaimed "Brand new day, time for strawberry picking!" He's seriously the happiest little guy. 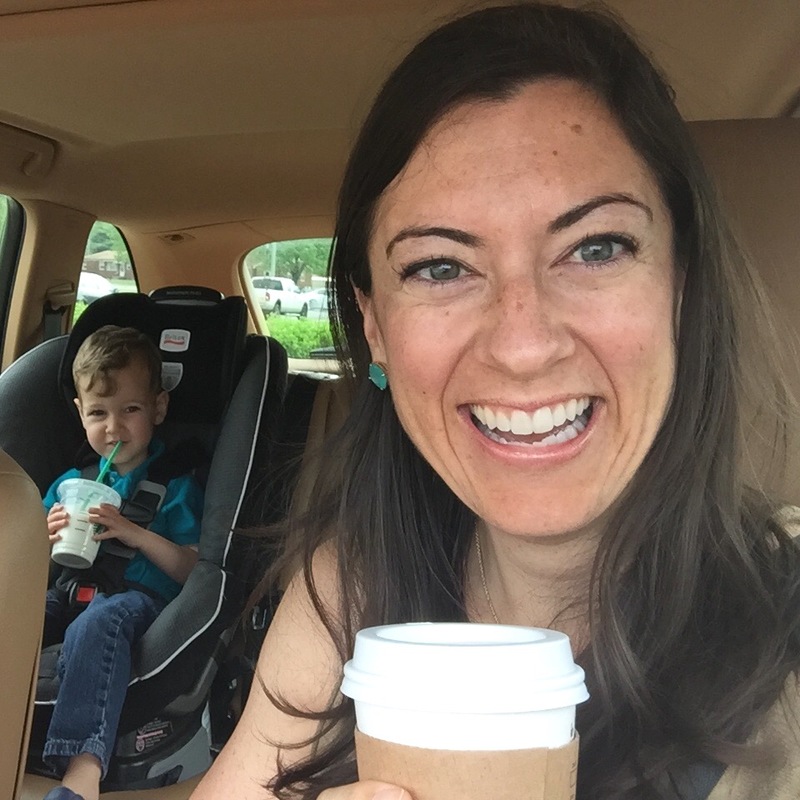 Drive-through Starbucks on the way up to the farm was a must: a Double Tall Cappuccino for Mama and a Tall Whole Milk for Sweet P.
Once we arrived, Parker ran to the fields, wielding our bucket as he squealed with excitement. He went to town, picking strawberry after strawberry, filling up the bucket as he made his way down the rows. What a different experience from last year! And oh my word, my baby looks twelve years old in the photo above! His favorite part might have been tasting the strawberries! We filled up our first bucket, and had so much fun we got another one. We ended up with two pick-your-own buckets, a tub of local honey, and a hanging strawberry plant. Fingers crossed it will last! We headed home and read one of our favorites, Jamberry ! We always seem to gravitate toward the older books, and, true to form, this one was published in 1982. It's full of fun rhyming text, and of course, strawberries! Our strawberry craft was sponge painting. 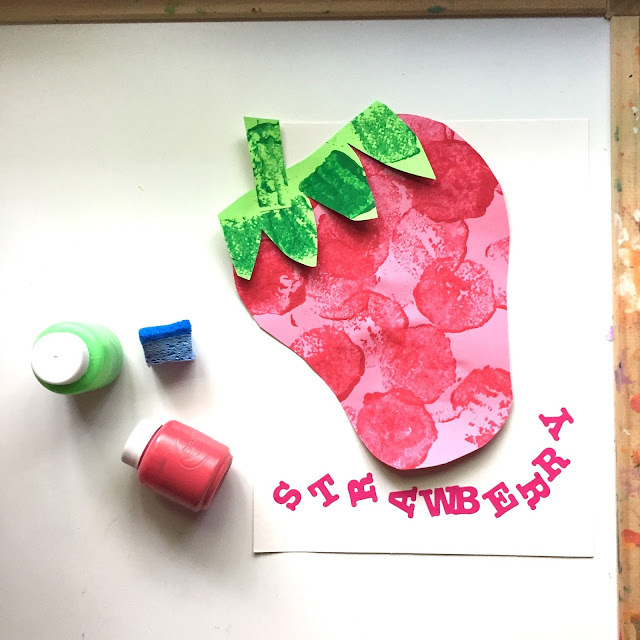 I shaped the paper after the paint dried, and then let Parker add letter stickers to spell out "Strawberry" on the bottom (he's obsessed with how words are spelled!). The next day we decided to make a strawberry dessert. 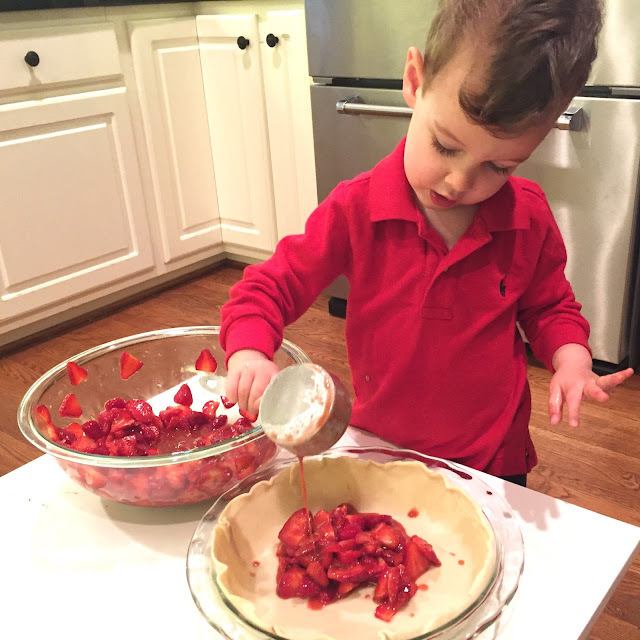 Parker wanted strawberry pie (after hearing about berry pies in the book) so I found this recipe on Pinterest. I think I prefer the texture of other berries for pies, but the taste was spot on. I had high hopes of freezing a bunch of the strawberries, but we have pretty much finished them all off already. Perhaps we will have to head back before the season is over! This pie looks amazing! I am salivating!! Thank you! I cheated with refrigerated pit crust ;) But I did cut the strips! Well if this wasn't the perfect day I don't know what would be. What a lovely way so spend your weekend with your Sweet P! Amanda you are seriously the best mama! This pie looks great! The strawberries look delicious and that's such a fun activity to do! Oh how much fun! 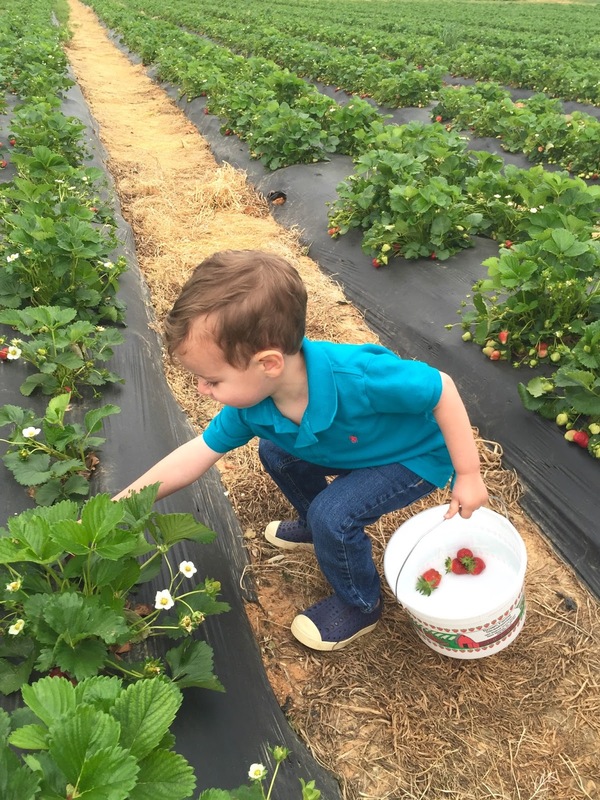 We've been wanting to take our babies strawberry picking and this makes me want to take them even more! I just know that they would have a blast! And that pie looks amazing. Jamberry is one of my favorite childhood books and I love being able to share it with my two girls! 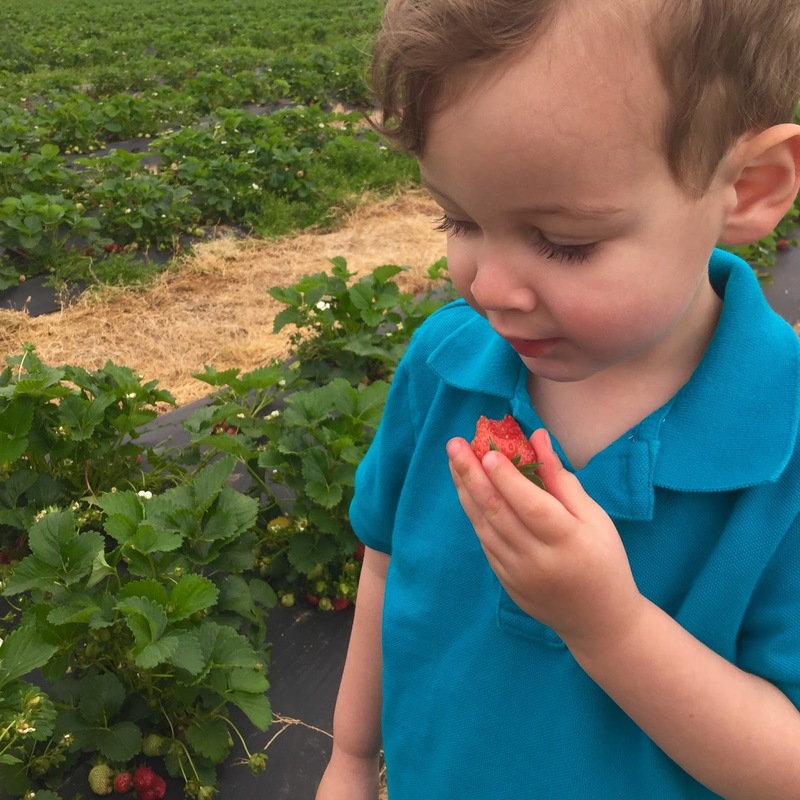 Strawberry picking and eating is lovely.